Our qualitative range of weights include cast iron weights and caliberated cast iron counter weights which are available with easy to handle and weighing . Owing to our quality-proven weights, we have achieved a prominent position in the industry. We acquire the grade material from leading vendors of the market. We offer a range of accurate and efficient Mechanical Counter Weighing Scales, which is popular for its sturdy construction, unique design and operations. These Weighing Scales are available in customized options along with reliable features that provide best performance. These Weighing Scales are widely used for the purpose of diagnostics and evaluation of body weight. Featuring flexible coupling for compensation of dis-alignments and self correction of mechanical hysteresis, these Mechanical Counter Scales are available at the most affordable price range. 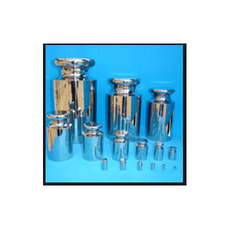 Our expertise also lies in offering an exclusive range of Stainless Steel Weights, which is ideal for laboratory analyzes and high precise weighing. These also find usage in applications including cement plants, sugar mills, sponge iron plants fertilizer plants, thermal power station, mineral plants, chemical plants, paper mills, mining industry, steel rolling plants, textile plants, material handing equipments, machine tools. Made in compliance with industry standards, these are featuring precision engineering, longer functional life and assured reliability. We are offering our clients Cast Iron Weights used in various industrial applications. 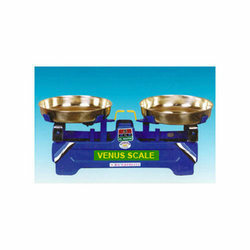 These scales are manufactured using quality raw material as per the standard quality. These scales are widely used to test commercial weighing devices. 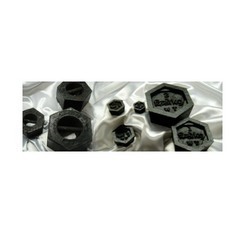 These Cast Iron Weights are made in accordance to their requirements of clients. Available at market leading prices, we offer Cast Iron Weights to our highly valued clients in bulk quantities. Backed by a rich industry experience, we are offering our clients a wide assortment of Brass Plated Weights that are fabricated using finest quality raw material. These are highly acclaimed for their high performance, longer shelf life and precise design. 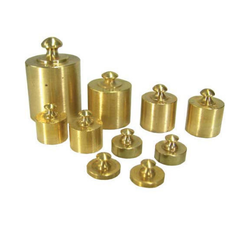 Widely used commercially like in laboratories and various other industrial applications, these Brass Plated Weights are available as per the customer’s specification in various packing.